Within this stage of the research project, the focus was on conducting further interviews, refining first findings, combining business-related and psychological research, and finalizing the first publication on the economic basic model. We could also – especially with the basic model – make the basic idea accessible to a broad scientific community and discuss it since we were accepted by a number of research conferences. The presentation of our work about values at the international conference “Family Enterprise Research Conference” (FERC) aroused great interest, gave rise to qualitative discussions, and established new important contacts which might be useful for further progress of the project. The same holds true for our participation at the conference “International Family Enterprise Research Academy (IFERA), which took place at the end of June/beginning of July. 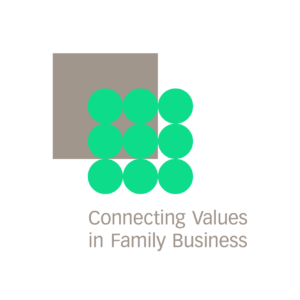 The presented model (Figure 1) on how values impact Socio-Emotional-Wealth (SEW) and as a consequence the decision making in family businesses was very well received and led to an intensive discussion of all participants. The developed basic model could be improved thanks to the feedback and was finally accepted as publication in the “International Journal of Entrepreneurship and Small Business”. This exceeded all our expectations related to the desired and planned output of the research project and increased our motivation and drive to work even more intensively on the expansion of the basic model on the psychological level. Therefore, parallel to the above-mentioned outputs, great content-related progresses could be achieved regarding the conduct of the interviews (internationally and nationally oriented), for example, in Mexico (3-4), Italy (1-2), and Switzerland (1-2) as well as in Germany (2). Above all, the “deep case” analysis has started allowing for a linking of the aspects hypnosis, positive psychology, values, and strategic decision. Furthermore, a logo for the common project was designed, a suitable font was integrated, and the overall design was adjusted accordingly. The set-up of the homepage was finalized; however, it is currently under construction due to the new logo and design. Finally, the project team also decided to present the homepage in German as well as in English. At the moment, this realization is taking place. We are glad that all project activities are proceeding further, and we invite you to participate in the developments and new findings by reading this report. The whole report can be found here.